On-cloud or On-premise converged ICT infrastructure solutions ensure that the organization and its resources are available all the time across different mediums to internal and external stakeholders. Mobility solutions to help field workers and production staff stay connected with the management and relevant departments. Wireless communications to track business on the go. AV integration for boardrooms, training rooms and conference rooms offering great environment to employees for meetings and brain-storming discussions.  Enkay ensures innovative and cost-effective solutions so that manufacturing companies can build reliable, efficient and smart ICT infrastructure so that ERP, CRM and other business applications run smoothly offering them real time information and update as per business needs. Our business-centric approach towards converged technology solutions ensures that we address the pain points of various stakeholders in the manufacturing ecosystem. Combined with our competencies across various technology platforms, we can provide the best of both worlds to our customers i.e. world class products and professional services with SLA. Our philosophy of ‘enabling experience’ across the manufacturing ecosystem to address the challenges such as improving productivity, ensuring customer satisfaction and monitoring business in real-time makes us a “Unique Partner”.